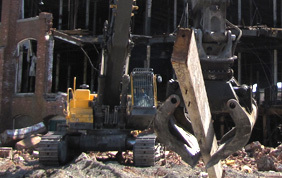 Costello Dismantling is a full-service dismantling company based in West Wareham, MA. From process equipment salvage to structure dismantling and material recycling, our team of experts can handle any project. 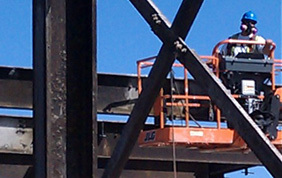 Costello Dismantling will see your project through every phase, from thorough planning to final cleanup. Costello Dismantling wants to change the "TNT and wrecking ball" perception of the demolition business. The Costello approach combines meticulous planning and careful, surgical execution in the removal of every structural component. 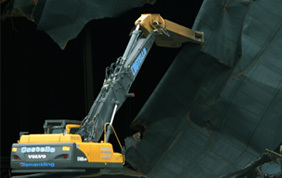 Demolition leaves debris which is typically hauled to a landfill, adding to our environmental footprint and your costs. Costello Dismantling will recycle or salvage your debris, saving you money on your project while reducing negative environmental impact. Costello Dismantling was family-founded in 1985, and has been family-run ever since. We employ a staff of 50 full-time employees, including expert dismantlers and structural and mechanical engineers to ensure our precision dismantling promise.